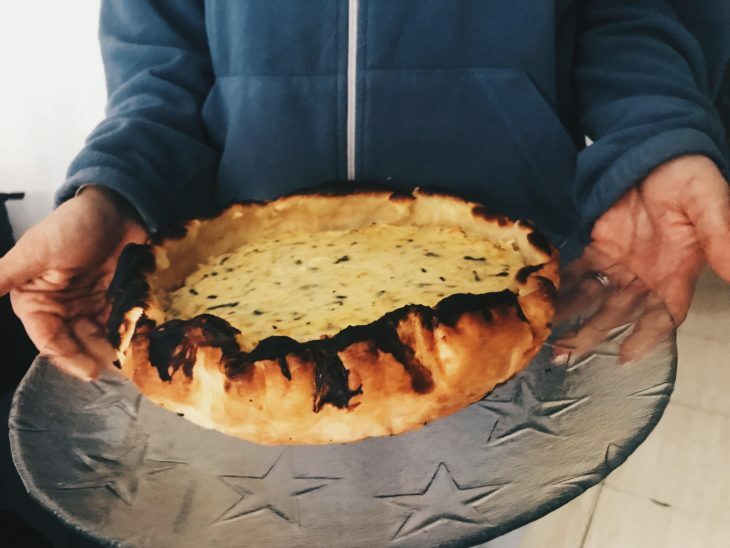 I am not sure where this recipe comes from, but it is something that my sister cooks and i really like so I thought why not share it with you? Dough which you can make by yourself or buy it. For this case I bought it. Take the yoghurt, the cheese, the zucchinis, the eggs and mix them all together until you have a homogenous mass. After this you add the garlic powder, the salt and the black pepper. Keep mixing and check if there is enough salt for your taste. In a baking pan you put the dough through all the pan and paint it with the olive oil. The corners of the dough should be turned from the inside. The oven should be heated at 200 degrees and you put it in there and let it bake for approximately 30 minutes. Check it very often because it is supposed to become very fluffy while it is baking. After 30 minutes your dish is ready to be served! enjoy!